"This book captures well the history and spirit of Tzu Chi and its volunteers. It explains the passion and devotion that have made it the largest non-governmental organization in the Chinese-speaking world." "Mark O'Neill's dispatches from Greater China over the span of many years have earned him a distinguished reputation as a gifted, insightful writer, versatile on a wide range of topics. A fluent Chinese speaker, he possesses that rare combination for a writer—of a keen nose for news as well as a heart for social responsibility. In Tzu Chi, he has chronicled the extraordinary story of a Chinese Buddhist nun whose selfless vision has built a global organization committed to doing good. O'Neill's book is the definitive story of her life and—more importantly—the organization she has built from humble roots in Taiwan." "Tzu Chi is a brilliant introduction to one of the most important—but to Westerners probably least-known—international charities and religious movements in the world. 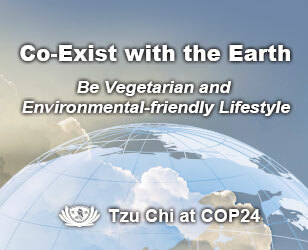 Tzu Chi is part of a renaissance of belief in the Chinese world and Mark O'Neill has captured it beautifully." "Tzu Chi has inspired the generosity of millions of Asians and mobilized them for service to the poor and sick. But its good deeds are not sufficiently known in the West. Mark O'Neill's book will change that. He has written a comprehensive, sympathetic, and eminently readable chronicle of this inspiring movement." "Mark O'Neill has produced a most impressive and timely book to enlighten the many people who are not yet familiar with Tzu Chi, a remarkable organization of universal compassion. 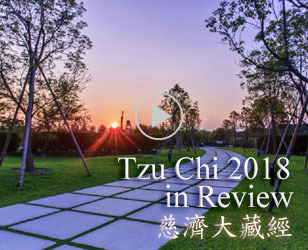 While many Buddhist societies focus on meditation and personal enlightenment, Tzu Chi concentrates on community services and global outreach with the scale, vision and management skills of a large business corporation. In a world full of injustice, poverty and disasters, Tzu Chi has been a guiding light toward peace, harmony and happiness. O'Neill's book eloquently describes the story of the many individuals behind this remarkable movement." "This story of the largest worldwide organization you've never heard of will knock your socks off. 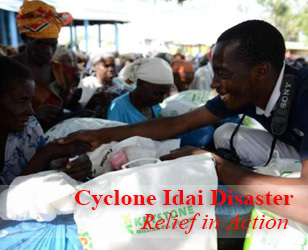 First with aid to Katrina victims, first outside organization to aid the tsunami-devastated people of Indonesia, first NGO with aid after the Sichuan earthquakes in China, it's called Tzu Chi. This organization was founded by a penniless nun in an obscure town in Taiwan. Mark O'Neill has given us a page-turner in his account of how she transformed pennies in a bamboo tube into three hospitals, an international bone marrow bank, and a quick-response global rescue organization that moves faster than you can imagine. If you are overdosing on bad news, this book is a must-read." " If we don't do something meaningful, our life will pass by in vain. But if we work unceasingly for the betterment of mankind, ours will be a beautiful life. "